Following a longstanding legal battle that has spanned over a year, a California District Court dismissed a series of claims by FX platform provider Integral Development Corp, against its ex-CTO and co-founder Viral Tolat – who joined rival EBS last January. The case is expected to be pushed for an appeal, under U.S law, according to comments from Integral’s legal representatives, Forex Magnates reports, and following the court’s most recent ruling dated February 24th which progressed unfavorably for the plaintiff. The charges focused around alleged misappropriation of firm-specific technology, source code and sensitive information by former Integral Co-Founder and Ex-CTO Viral Tolat, narrowing on the downloading of proprietary data onto a USB drive in the final days leading up to his exit from the company. Mr. Tolat had been a mainstay at Integral for nearly twenty years, abruptly ending during the latter stages of 2012 via his resignation. The situation quickly deteriorated soon after with the attempted administering of a restraining order barring Tolat from taking up employment with rival FX firm EBS – these attempts were ultimately rebuffed with the order being rejected. Unfortunately for Integral its subsequent legal fortunes faired no better, as illustrated by the issuing of a recent ruling earlier last week, in which the California District Court rejected and dropped all of Integral’s claims, snapping a prolonged battle between the two parties. Moreover, while the court did recognize Tolat’s download of Integral’s sourcing code, any charges of using this sensitive data at EBS on grounds of intellectual property law were dismissed as well. Forex Magnates opines that as in the case with legal proceedings, evidence – including direct and circumstantial evidence – is a key determinant, beyond a shadow of reasonable doubt, although these can obviously vary across different cases and jurisdictions. While it’s totally possible that Mr. Tolat may have downloaded the data for un-malicious reasons, such as having a copy for the purpose of backing up his files at the time (when he was still an employee although he would have been required to return the drive after or before leaving – a separate but related matter, as explained to Forex Magnates by persons familar with the case ), unless such direct evidence of misuse could support Integral’s claims, such as if further discovery among parties revealed such a connection to evidence linking wrongdoing , then it will be tough for Integral to succeed in the case of an appeal unless a trial by jury determined otherwise. “We at Computerlaw Group LLP (www.computerlaw.com) believe the Court’s ruling disregards the law and admitted facts (including that Mr. Tolat downloaded trade secret source code of Integral to his own separate removable hard drive — without any notification to anyone at Integral — during the same week that he was resigning from Integral and joining EBS),” said Jack Russo, Managing Partner, COMPUTERLAW GROUP LLP, in a comment provided to Forex Magnates’ reporters. Ultimately, the entire series of allegations surrounded the eventual haste in which EBS launched its liquidity service, EBS Direct, given the close proximity to Tolat’s resignation and recruitment. 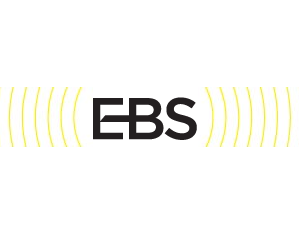 “The only fact established by this testimony is that, relative to Integral’s time to market, it took EBS a shorter time to market its competing product. This court does not find persuasive Integral’s conclusion that Tolat must have shared its trade secret information with EBS because the company was able to get a competitive product to market more quickly than Integral,” the US Court ruled. Accordingly, while the court has made it decision, Integral’s legal representatives are pursuing their efforts for an appeal, thus possibly extending the drawn out ordeal even further. It’s a dog-eat-dog world out there. It would be very interesting to see if Integral could actually prove wrongdoing if they are able to get a full trial. Or maybe the goal is to just tie things up in the courts.